Last week we held the 12th Intel Education Summit in London, which brought together over 200 experts from all over the world to explore the impact of gaming on education. Over the next few weeks, we’ll be bringing you up to speed on the topics, discussions and outcomes of the event. I’d like to start by sharing what I learnt from two of the summit’s youngest delegates: Luke and Mateusz from St Pius X College in Magherafelt, Northern Ireland. 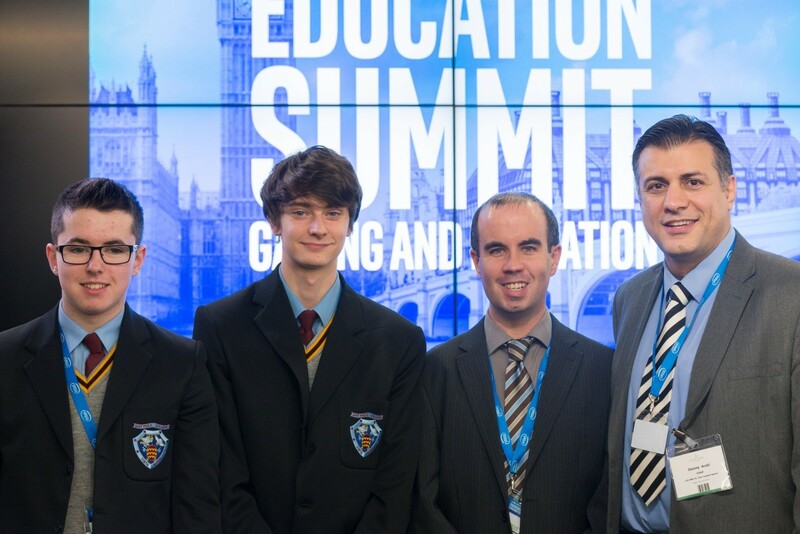 They came along with their teacher Gerard Duffy (Head of Post 16 within their college), who’s one of the Intel Education Ambassadors, to run a brief but popular workshop on game design using Game Maker: Studio – a free application with paid premium features. As part of their GCSE studies, Luke, Mateusz and their classmates had to come up with a game from scratch, exploring different genres; storyboarding each level in detail; and considering a target audience. Then they had to build and evaluate the game, and write a user guide. And take over they did. Luke showed us how to create a new level for his Indiana Jones-themed maze game, which he had made for his GCSE assessment. Within literally a couple of minutes we’d learnt enough that a member of the audience was able to come to the front and add his own elements to the level in order to finish it off. This was all accomplished within twenty minutes using a free piece of software. 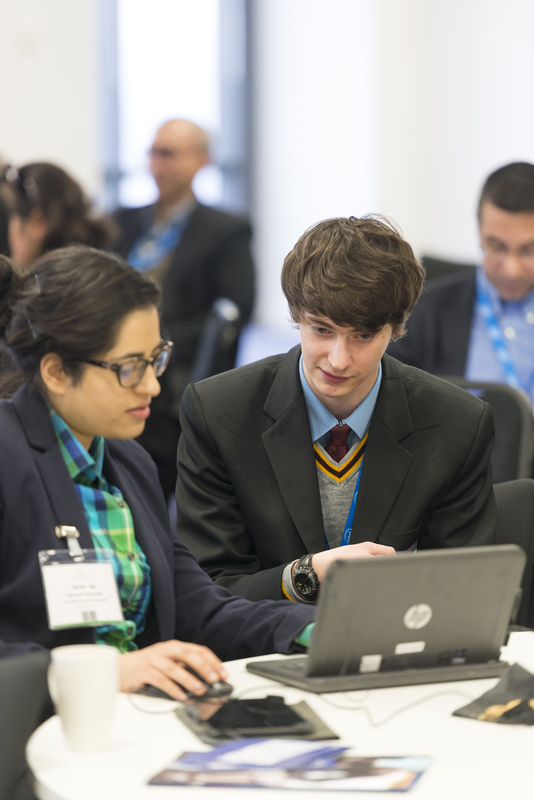 The games will make up around 30 per cent of each student’s mark for their ICT GCSE. Even more impressively, they only have 11 hours of class time to finish them. This includes any creation or manipulation of artwork, which many of them do in Photoshop. The students also confidently completed a question and answer session from the workshop participants. All questions were answered independently, highly accurately and with ease. Itching to get your game started? Mr. Duffy recommended a tutorial on Teach-ICT.com that’s aimed as KS3 pupils. This is a great place to start. 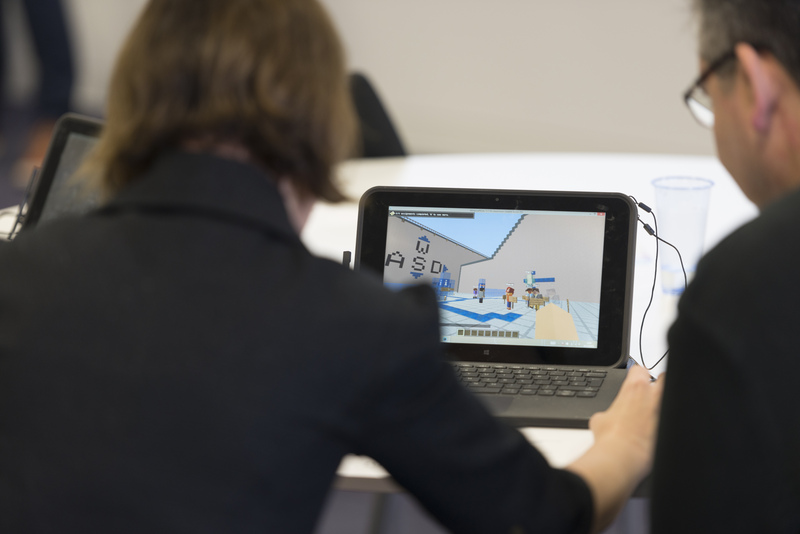 If you would like to receive further updates on gaming in education and other topics at the cutting edge of ed tech then sign up to our Intel Education newsletter. Teachers can also sign up to our Teachers Engage platform where you’ll find discussion, resources and lesson plans related to digital citizenship and dozens of other topics – all for free. We’d also love to hear from you via our Twitter or Facebook pages.